Experience the varied scenery of this Spanish archipelago, where pine-forested peaks overlook lava fields and gentle waves lap at golden-sand beaches. The Canary Islands are comprised of diverse landscapes usually found oceans apart. Located off the coast of West Africa, the archipelago features superb beaches, subtropical national parks, volcanic ridges and Sahara-like dunes. Hop between islands to see the unique character of each, from indulgent waterfront resorts to hiking trails that wind through deep ravines and laurel rainforests. See colossal cliffs drop into the surging ocean and stroll along peaceful arcs of soft sand. A good place to start your adventure in the Canary Islands is its capital city, Las Palmas, on the island of Gran Canaria. 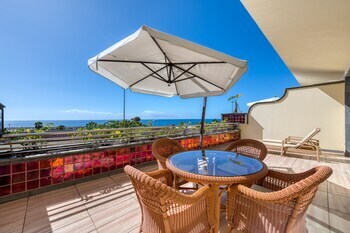 This thriving city has picturesque winding streets and a magnificent waterfront promenade along the Playa de Las Canteras. More gorgeous scenery can be found at the beach of Playa del Inglés. Check out the surf schools on the north of the island to get some tips on finding the best breaks on Gran Canaria. Go on a daytrip to the monumental sand dunes in Maspalomas, explore the historic tree-lined neighborhoods of Valsequillo or trek to the cave villages of Barranco de Guayadeque. Tenerife, the archipelago’s largest island, represents the Canary Islands’ rich heritage with its fascinating museums and monuments. The large resort of Puerto de la Cruz has a charming old town by the fishing port and is surrounded by fine black-sand beaches. Go windsurfing on the island of Fuerteventura or explore the island coastline on a charter boat trip. Explore the paradisiacal island of La Gomera, which is renowned for its network of hiking trails. This island is characterized by rugged ravines clad in remnants of prehistoric vegetation. Try the island’s specialty tapas, such as roasted pork and regional cheese. Hear locals communicating across the ravines using a unique whistled language. 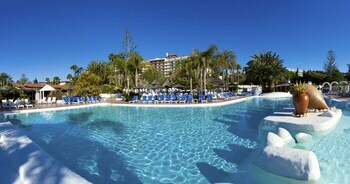 The Canary Islands are easy to reach via plane to major airports on Tenerife and Gran Canaria. Hop between islands on ferries or charter yachts and catch local buses around each island. Rent a car to reach the more remote areas of the islands. The high season is between December and February, with another peak in the summer months of July and August. 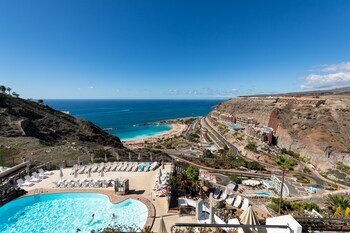 The Canary Islands are a year-round destination for discovering the diversity of an entire continent in miniature. 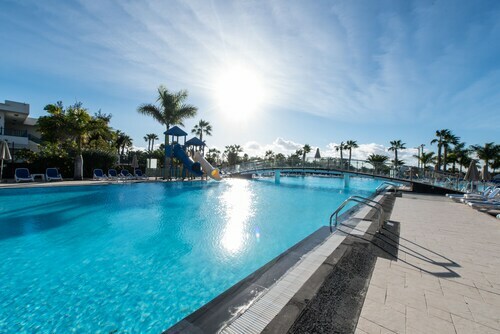 With our low-cost Lanzarote breaks, enjoy a subtropical climate with little rain almost all year round, as well as walking around one of the most impressive volcanoes in the world, going deep into caves and surfing along black-sandy beaches. 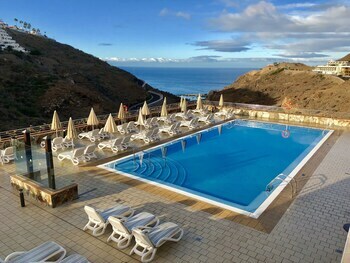 La Gomera has a unique ecosystem and is a spectacular natural tourism destination, with over 400 miles of trails across volcanic soils. 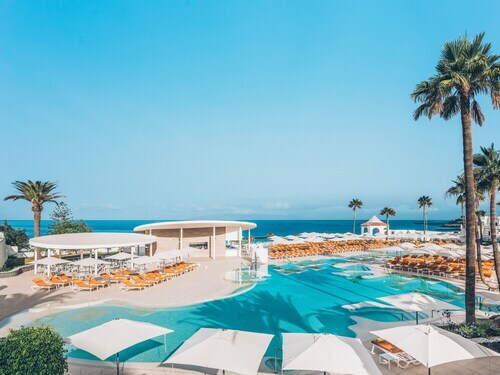 Go deep into the landscapes and micro-climates of the paradise that is Gran Canaria, while exploring the banana trail, participating in the lively, age-old Carnival and dreaming of a never-ending summer against a fantastic beach backdrop. Come and explore the secluded corners of the Isla Bonita, which attracts visitors from all over the world with its lush nature, volcanoes and charming villages. 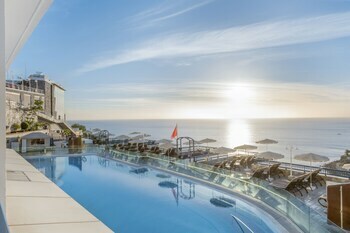 Tenerife is a box of surprises and daring contrasts. 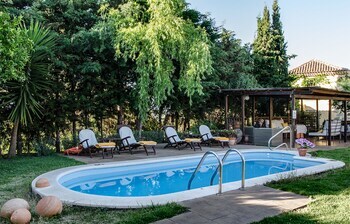 Bathe in its waters and explore its volcanoes, visit the highest peak in Spain, paraglide over the landscape and dance to the sounds of its Carnival. Windsurf on the gurus' favourite island and discover Fuerteventura's white sandy beaches, explore Puerto del Rosario and sample Majorero cheese. 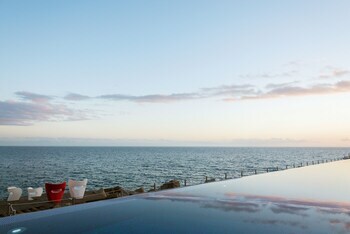 Enjoy a holiday in Yaiza and discover the wonders of the island of Lanzarote. 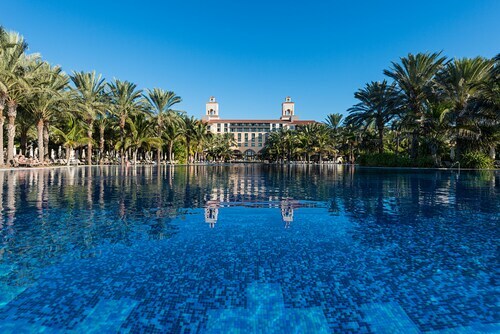 Dive into its waters, breathe in its unspoilt nature and take in its architecture. Choose a holiday in Arrecife to enjoy a real heaven on Earth, surrounded by the Atlantic sea and monuments of great beauty. 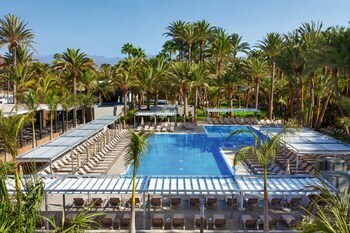 Garachico, a Tenerife town bathed by the Atlantic, the ideal spot for a few days of peace and tranquillity in its natural pools and exotic parks. We’re going on holiday in/to El Guincho, in the town of Garachico, considered by many to be one of the most beautiful in Tenerife. Do you fancy it? Candelaria, in Tenerife, is much more than just a beach destination. Discover all the secrets of this place of pilgrimage par excellence. 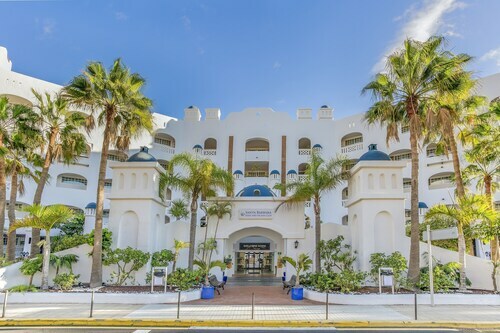 This family-friendly Mogan hotel is located by the ocean, within 1 mi (2 km) of Plaza Las Gananias and Mogan Port. Angry Birds Activity Park and Puerto Rico Shopping Center are also within 6 miles (10 km). 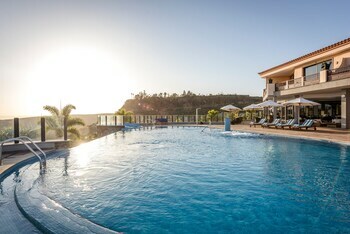 Situated in Yaiza, this hotel is 0.9 mi (1.4 km) from Dorada Beach and within 3 miles (5 km) of Marina Rubicon and Aqualava Waterpark. Nuestra Senora del Carmen Square and Atlantic Museum are also within 2 miles (3 km). 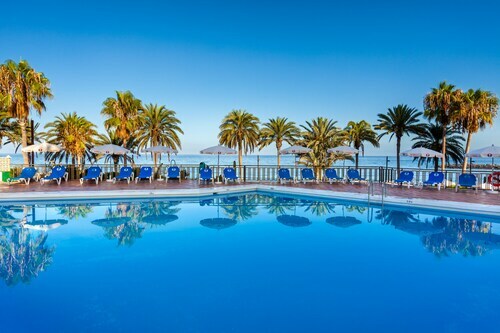 Situated near the boardwalk, this hotel is within 1 mile (2 km) of La Charca Lagoon, Maspalomas Lighthouse and Maspalomas Golf Course. 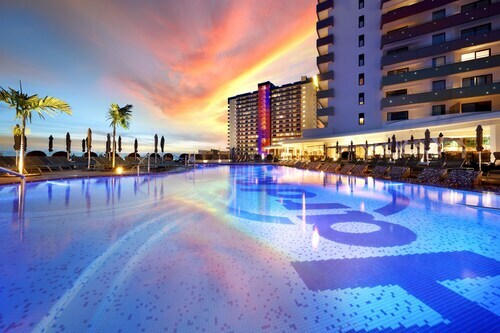 Yumbo Shopping Center and Meloneras Beach are also within 3 miles (5 km). Offering direct access to the beach, this Arona hotel is on the boardwalk and within a 5-minute walk of Troya Beach and Veronicas Strip. Siam Park and Las Vistas Beach are also within 1 mile (2 km).